and it also gives you some information on the build and innovative aspects of the aura. I think anyone looking for a true super ultra lite will appreciate the aura. Special thanks Wayne Brunjes and Devin Cobleigh Morrison for helping make this kite happen. Very attractive kites! If i hadn't just picked up the Ocius Sul, i'd be all over that! I was flying the Spider Aura UL Friday night. Incredible wind range for a UL with a 2PT frame. That black stock color combo looks really sweet by the way. Very exciting news. What is you feeling on the choice between the UL and SUL? Does the SUL give up much trick-wise in favor of that extra 1mph of wind range? 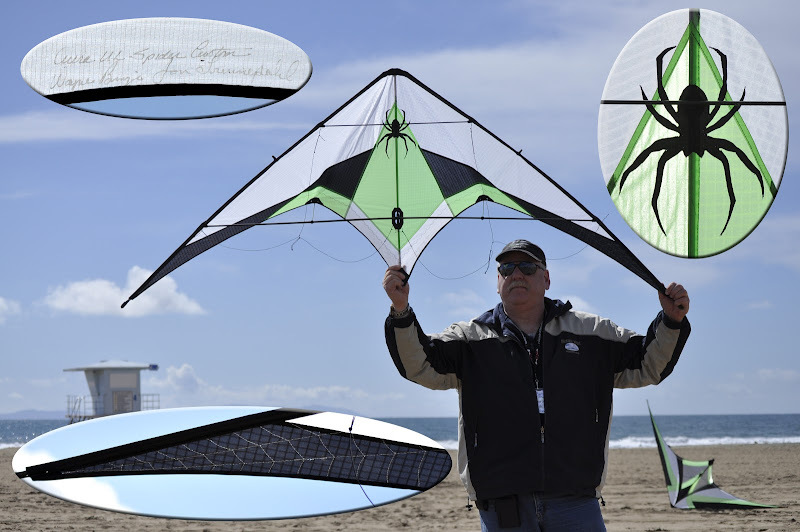 Interesting that you openly offer that roll ups are difficult on these kites. I wonder what you have gained with this sacrifice. Some great moves are wrapped up. 2 pop Rolls are certainly a possibility. The 1 pop, is not. The kite sits back so well in a turtle 2 pops will start handing themselves over. Honestly Tom I prefer the SUL, and I think its easier to trick! haha Both are pretty much the same in terms of tricking but the trick pace and the general floatyness of the SUL I think should be mentioned. It is a bit slower which is to be expected. For some odd reason the SUL is just easier for me though, especially in rotational based tricks and the hard input tricks like the commete. I have done 1 pull yoyos on my Spider Aura UL. Jacob's Ladder turn to build up momentum. Exactly. They're possible. Not easy. 2 pop rollups are more its thing. I will email Jon and tell him to revise.